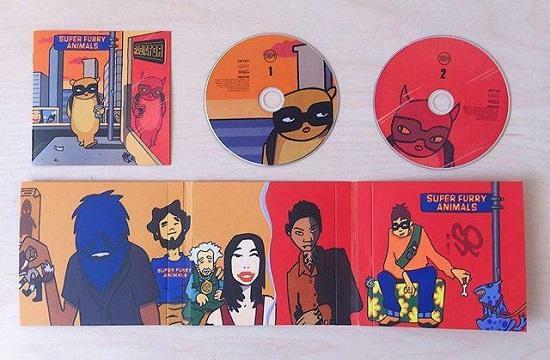 Super Furry Animals will release a newly remastered edition of their 1997 album Radiator on 28 July. The reissue will be available both on 2xCD and 2xLP vinyl, remastered from analogue tapes. The CD edition includes a booklet of new interviews with the band as well as B-sides, alternate versions and unreleased demos. Signed editions and test pressings were available for a short period, but sold out almost instantly. "For three, contented months we lived in a house in constant earshot of military aircraft, to make ‘Radiator’ the album that it was. The original album sounded great when we emerged from our exile on Anglesey, and still does, but technology moves with the times and now we can hear it in higher-resolution, as nature intended. "We've forgotten as much as we ever knew, so the rarities, demos and b-sides on the second disc are as much a surprise to us as they are to you." You can pre-order the release and find out more via Pledgemusic here.